A portable party pump system for single valve kegs. 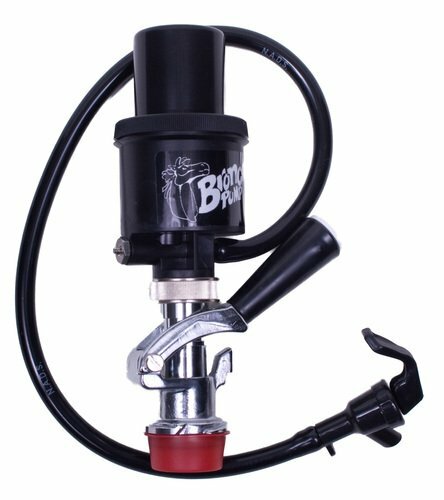 This convenient pump system is compact in size and comes complete with a sturdy metal tapping base, high volume air pump, beer tubing and faucet. If you have any questions about this product by Taprite, contact us by completing and submitting the form below. If you are looking for a specif part number, please include it with your message.